Know When Someone Opens Your Email | Brand On! There’s nothing more frustrating than sending an important email and wondering if the person actually opened it. Well, wonder no more! 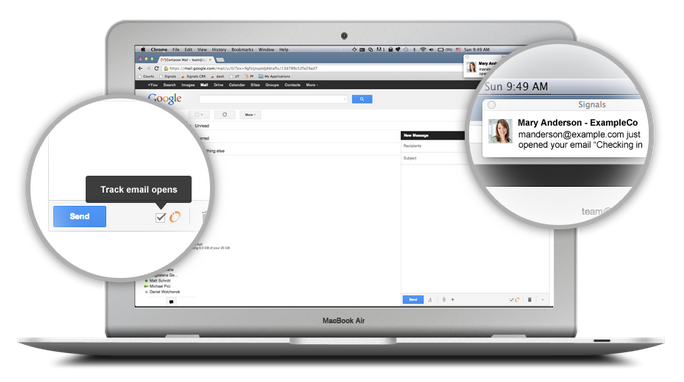 Signals, made by Hubspot, let’s you see who opens your email. Signals integrates with Gmail (and Google Apps accounts), Apple Mail, Outlook for Windows, Outlook.com and Outlook Web Access. Signals also hooks up to Salesforce and Hubspot, letting you know instantly if you have a lead or a warm prospect visiting your site.